Hanoi (VNA) – A joint venture of the PetroVietnam Exploration and Production Corporation (PVEP), Groupment Bir Seba (GBRS), has produced 10 million barrels of oil after 20 months of exploitation in Algeria’s Sahara Desert. The consortium, between PVEP under the Vietnam National Oil and Gas Group (PVN), Algeria’s Sonatrach and Thailand’s PTTEP, received the first oil flow pumped from the 433a-416b lot of the Bir Seba (BRS) oil exploration project in the desert on August 12, 2015. The project has an estimated total capacity of around 1 billion oil barrels. In the first phase, it is set to exploit 20,000 barrels per day from 13 wells. As the project enters its second phase in 2019, it will produce around 40,000 barrels on a daily basis. 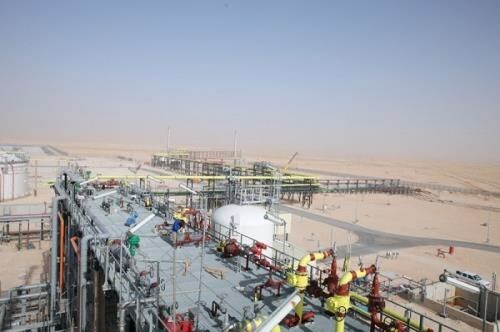 The Sahara oil rig is the first-ever overseas project in which PVEP succeeded in all phases, from winning international bid to starting exploration. It marks the PVN’s first effort to extend its oil drilling services to a foreign country. According to the PVN, oil exploration has faced daunting challenges stemming from harsh weather and unstable politics in Algeria. BRS is touted as a thriving project which has brought great economic efficiency. Around 18,000-20,000 barrels were exploited every day at lower cost than set plan.